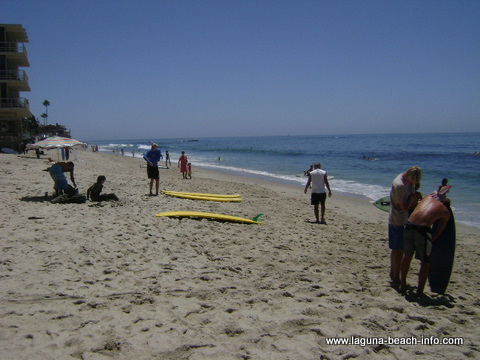 A long sandy beach with waves for surfing and skimboarding in Laguna Beach! 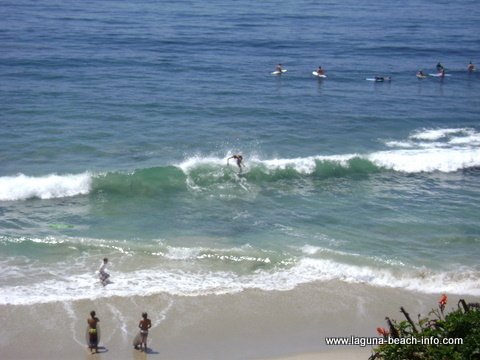 Thalia Street Beach has great conditions for both surfing and a shorebreak for skimboarding in North Laguna Beach! On a typical summer day, you’ll find a pretty large crowd of local’s enjoying the sun and sand here. You’ll also quickly see that they’ve brought their skimboards and surfboards! 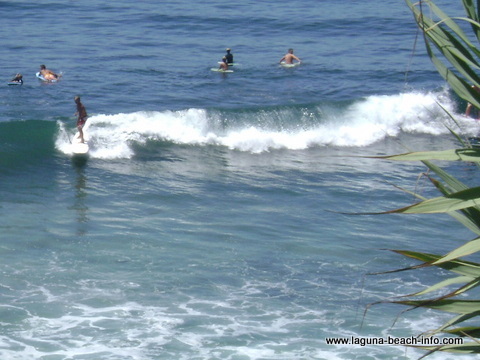 Here are some local surfers enjoying the waves. On this day, in between sets- there was a group of kids stacking foamboards out on the break and then standing on them when there weren’t any waves and playing king of the hill, by knocking each other off! (Thalia Street) There’s plenty of room on the sand to spread out, and if you get there early enough there’s even a few shady spots! Whenever there’s a swell, there’s usually a crowd and a lot of activity here- so it may not be the best place for little ones. Access to Thalia Street Beach is pretty easy. Take the steps directly down from Thalia Street. There’s even a landing with wood benches that’s got a great view of the surf. This is a fantastic place to sit and watch the surfers and skimboarders perform on the waves! You can find metered parking near Thalia Street Beach on Thalia Street or Coast Highway. There also may be additional free parking on the residential streets on the other side across Coast Highway, just make sure that you don’t block anyone’s driveway! 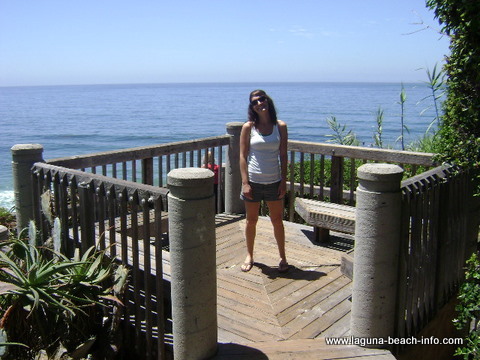 You’ll find Thalia Street Beach at the intersection of Thalia Street and Coast Highway in Laguna Beach, California.